it is really fun to watch your progress. Looking great! I'm curious about this 606 Spray and Fix. Where do you usually get yours? Does a can generally last long - or do you have to lather on the spray to get any results? 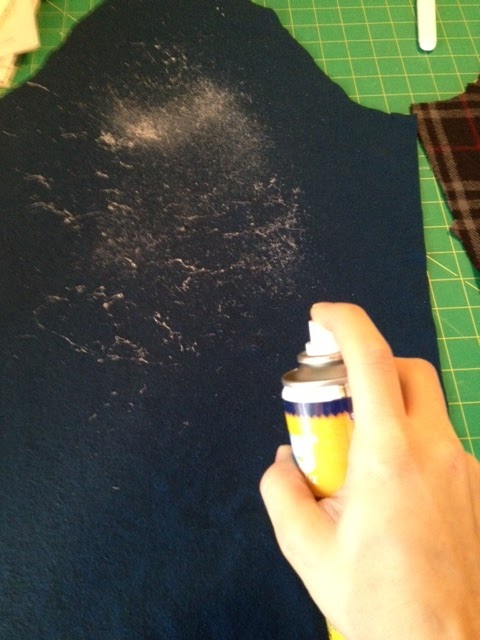 One more thing -- do you use a particular interfacing for the hems? @Pegsewer- Thanks! I am soooo close to being finished at this very moment. I can't wait to share! @Jenny - I use the 505 Spray and Fix. There are a few "number" sprays from the brand. I've actually gotten it at a local quilt shop in our area, but I think I've seen it at Joann Fabrics. I don't lather on the spray, it seems to hold fairly well by just a wisk of the can over the fabric. As for the interfacing---I used a fusible weft interfacing as the interfacing on the hem. I would say that any light-medium weight fusible interfacing would be fine.